It never ceases to amaze us how time flies; is it whilst having fun? Well we are certainly having fun at CP so it must be true. So what have we been up to? Our confidential investigation has concluded for the year; and we are currently analysing the pages of notes that our team have written up. For control we set up our GoPros and sound system and we can say we had something very strange happen; very strange indeed. We are certain that there is a perfectly rational explanation for what occurred, could could it not be? We have sent the footage to a third party to review for us and look forward to their thoughts and questions. The house as been refurbished tastefully and often hosts dignitaries from across the world as well as Prince Charles. Everyone had a wonderful evening; and we owe special thanks to the CP Team who came along to support and assist on the night. Take a look at the house; by following the link below. We are now preparing for another investigation which starts in April; two of our most experienced investigators are managing the investigation, like with all our confidential investigations we are unable to share the details due to a non disclosure agreement and only the investigators involved in the invest itself will be aware of the location. Aside from this our internal training is continuing well; bringing investigators along using skills learnt at Ghostology last year and passing down ASSAP skills; all have fed back that the one to one guidance is very beneficial. We have two investigators booked onto the advanced ASSAP training weekend in November and they are very much looking forward to it. Over all; we have had an exceptional quarter so far; as well as constantly learning and evolving as a group; our investigators are developing new skills each time they investigate. As they say we never stop learning; and thankfully CP are a group and embrace change and advancement. So here we are again and the year is going so fast; what a 2018 it has been for us so far and we are only 6 weeks in! Firstly January what a busy month; it saw us continue 2 of our confidential investigations both equally interesting and we are now reviewing and collating all our findings to report back. Thankfully we have a good team of experienced investigators as both were on one occasion at the same time, so one team headed West the other East. Having years of experience, coupled with Ghostology and ASSAP the team really are outstanding and evolving and growing constantly and handled this well. 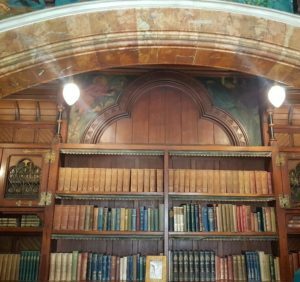 At the end of January, we held our Annual General Meeting at the mysterious Insole Court and what a building it is. 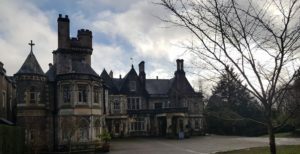 Insole Court is based in Llandaff built in 1856, by James Harvey Insole, who were mine owners, coal shippers, dock and railway men. The families’ fortune dwindled in the early 1900s and the gardens were sold off for housing and the house bought for an orbital road, which is now Western Avenue. After the house fell into disrepair a group was formed and after nearly 20 years the building was transferred as a community asset transfer to the group; who have worked painstakingly to restore the Court. If you haven’t been it really is worth popping along to see the work that has been carried out; the house isn’t fully restored as they have years ahead of them. During our AGM, our Chair Sarah spoke passionately about 2017 and her continued desire and plans for Cymru Paranormal. The members present all equally passionate about this small unknown group, who seems to be going from strength to strength. Without everyone’s input and commitment we wouldn’t be the success we are now and we all look forward to the year ahead of us. Joining us at our AGM was journalist and renowned author Mark Rees, author of ‘GhostsOfWales’ Mark delighted the members with a talk on Victorian Ghost Hunting; and gave real accounts of ghost hunting and hunters in the Victorian era; what is so nice to hear is that the same ethos applies today; be ethical, question and be honest. 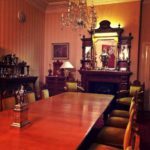 It was pleasing to hear positive reports from our Treasurer Audrey and Secretary Leanne; and wonderful to hear from our many members; after the formalities were out of the way; we relaxed in the main house and in true ‘Ghost Hunter’ style headed for the tea rooms. Watch this space for more news shortly from the Team that is Cymru Paranormal Investigations and Research. As I sit and ponder what to write in this yearly roundup I realise just how much we’ve achieved in just a year. This post won’t be as detailed as it would normally be as we have our AGM (Annual General Meeting) in 4 weeks; so we’ll bore everyone with more details following that. So how far have we really come in 12 months? Well from making the decision to branch out and form a new group; leaving one that has been around for many years; people may of felt it was foolish. Starting from scratch, but what better way to do it? So it was me Sarah, and a few close trusted friends/colleagues and off we went. 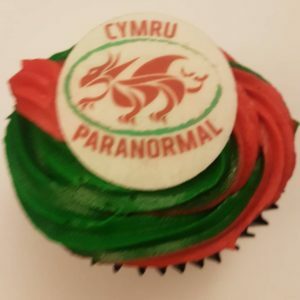 Having a clear vision of the group we wanted was easy, what took the longest was figuring out our group name; after purchasing a few domains Cymru Paranormal seemed to have a nice ring to it. Even if people couldn’t pronounce the name they would know we were Welsh. Very quickly friends wanted to join us, many with some outstanding talents that could really help strengthen and develop our group. We weren’t officially started and we already had one confidential investigation to carry out; how wonderful that they believed in us to entrust us to carry out an investigation; we carried out a number and are due to return a year on to continue investigating. Over the year we’ve been incredibly fortunate to have 3 buildings to investigate on a long term basis. Each one very different and covering different times of the year. 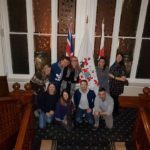 During the year we held the Ghostology course with Steve Parsons, which was a great hit; for many this was a different way of investigating and more inline with how we investigate. We’ve also held a number of member investigations, these we pay to hire a location. Our group embraces diversity and during these we have clear divides so that everyone’s belief system can be utlilised and no-one feels they aren’t valued. We’ve found this has worked incredibly well and has benefited many members in finding the correct path for themselves as well as allowing us to analyse full all findings. We were also invited to share a location with BSPRI based over in Bristol; managed by Mark Davey and a trusted team; it was very good sharing and we are returning the favour in 2018. BSPRI are aligned to our way of investigating and are an established group who I believe are entering into their 16th year. From the very beginning we wished to become affiliated with ASSAP and were granted this a few months back. With 4 investigators having already carried out their training another 4 attended their first training session earlier in the year. Our membership base grew very quickly and as we want to remain a small group we closed membership around 6 months ago. We have received requests to join since and the committee will consider applications in February. So as we close our first year, we have purchased a number of pieces of equipment none of your expected pieces of kit, but some good camera’s and pens. We have ongoing investigations and research, an outstanding group of members and a bit of money for a rainy day. So all in all it’s been an incredible year and we look forward to our continual growth/development in 2018. The presenter, Steve Parsons, has over 40 years of ghost study and investigation. 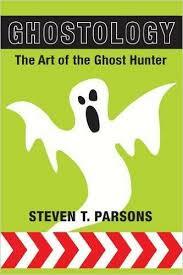 Steve has contributed to many books, magazines and journals and has written two recent books; “PARACOUSTICS, Sound and the Paranormal” and “GHOSTOLOGY, The Art of the Ghost Hunter”. Steve is well known and respected for his no nonsense approach to the subject and his ability to cut through the hype and misinformation that often surrounds Ghosts and Hauntings. 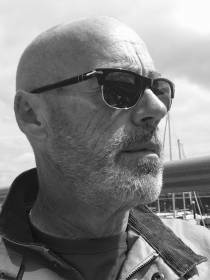 Steve is currently a member of the Society for Psychical Research Spontaneous Cases Committee and also an advisor to The Ghost Club. The Ghostology Study Weekend provides a no nonsense look at modern ghost investigating. Using interactive study and investigation, participants will be invited to consider and examine the theoretical aspects of ghost research from the earliest days to the present time together with the opportunity to apply and develop the practical skills that are essential to the successful outcome of any investigation. What exactly is a ghost & Why do people investigate them? The historical legacy and lessons of the early ghost hunters. Evidence, how to ensure the maximum information can be gained from an investigation. The use of equipment and techniques to support an investigation. Proposed Times: Study days: 11:00am – 6:00pm. Please email enquiries@cymruparanormal.com for details of how to book. Ghostology study weekend: Saturday and Sunday including two evening investigations. Ghostology: Study day only, Saturday and/or Sunday. Does not include evening investigation. Other options may be available upon request. It is not possible to permit attendance for the investigations only. In order to attend an investigation, you must attend the corresponding study day. Seasoned investigators who have a continual need to expand their skills and to consider techniques that they might not themselves use or be familiar with. Those who are curious and interested and want to know more about this fascinating but often controversial subject. Is what they see on TV or in the Movies really what happens? It is a requirement of the weekend that all participants have access to a copy of ‘Ghostology, The Art of the Ghost Hunter’ which provides essential additional supporting information. Should you wish us to purchase this on your behalf this will be at cost price £13 (printed copy). The book may also be purchased in either printed or Kindle format from Amazon. Participants are required to bring along the following items in addition to any ghost investigation equipment of their own that they may wish to bring. Please be aware that the use of personal items of ghost hunting equipment and other devices will not be permitted at certain times and will be restricted at times during the investigation in order to facilitate the aims and objectives of the course. 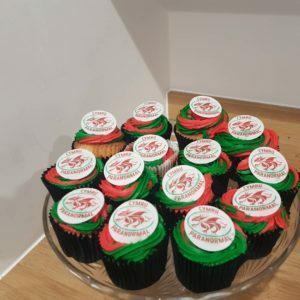 Refreshments will be provided throughout the day and evening but participants will need to bring any additional food and drink that they require. Cymru Paranormal are certainly starting off the year as we mean to continue. THIS WEEKEND we have a private investigation, we can’t share the location however, we are the first group to investigate this wonderful historic building. Could we obtain proof of something Paranormal? That’s not all – our launch weekend event at Llanthony Secunda Manor takes place the following weekend. Although places are fully booked, we’ll keep you updated on activities on our social media pages. Stay following us and add us to your favourites to keep up to date on all our activities – you won’t be sorry.